Awareness of the tax implications of a property transaction. This course is delivered via an innovative ‘flipped classroom’ approach that offers participants ultimate flexibility in how they approach their learning. This format sees lectures released in an online tranche, with participants provided a window of a number of weeks to view the recorded content and complete online learning activities in a self-paced manner. The online releases are bookended by two days of onsite workshops. The certificate provides attendees with a comprehensive overview and understanding of the issues currently relevant to conveyancing practitioners. Designed with a practical focus, it reviews best conveyancing practice, providing precedents and highlighting recent practice updates and legislative changes, and offers students the opportunity to learn through problem based scenarios. Participants will receive a copy of the Law Society Conveyancing and Landlord & Tenant Law manuals on registration. The online release of lectures is bookended by on-site workshops. Workshops are a key feature of this course. These are designed to be interactive and involve working in groups on selected case study problems and analysis with an emphasis on the application of conveyancing law to common scenarios encountered in practice. 2,500-word written assignment (70%) and continuous assessment through online activities (30%). 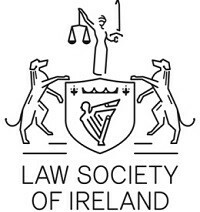 This course is reserved for solicitors and post-PPC1 trainees. It will appeal to seasoned professionals who are looking for a comprehensive and up-to-date guide to the practical issues that they are currently facing. It will also appeal to newly qualified solicitors and trainees, as it will provide a strong grounding in conveyancing practice and the law regarding residential and commercial property – areas that remain the bedrock of many practices. Course Times Blended learning: online lectures and two onsite workshops.